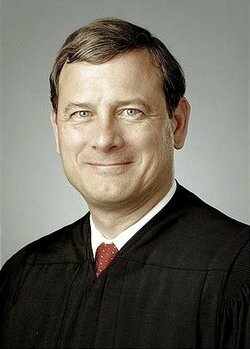 I got all excited that the Roberts Court had upheld Gonzalez v. Oregon, until I realized the Chief Justice was in the minority with Justices Scalia and, you will be surprised to know, Thomas. Rehnquist would have voted with the majority, I think, so this signals Roberts may not be the Warren some of us were naively hoping for. I'll have more salient analysis shortly after the U.S. Supreme Court publishes the opinion online. For now, I'll just have to go on the Associated Press report, which appearsto miss the real holding in the case. I say that because the quotes from Kennedy sound awfully more like dicta than holding, but I could be wrong. Scalia said the court's ruling "is perhaps driven by a feeling that the subject of assisted suicide is none of the federal government's business. It is easy to sympathize with that position." To which I say, yes, assisted suicide is none of the federal government's business. Later today I'll figure out if that's what the majority thought, too. I am surprised that Scalia thinks it is the federal government's business, when he's usually more of a states-rights guy. Thomas wrote his own dissent as well, to complain that the court's reasoning was puzzling. I just don't know which half of the sentence is funnier. Update, 5:35pm CT/23:35 UTC: The opinion is available (406 kB, PDF), and I shall now read it.